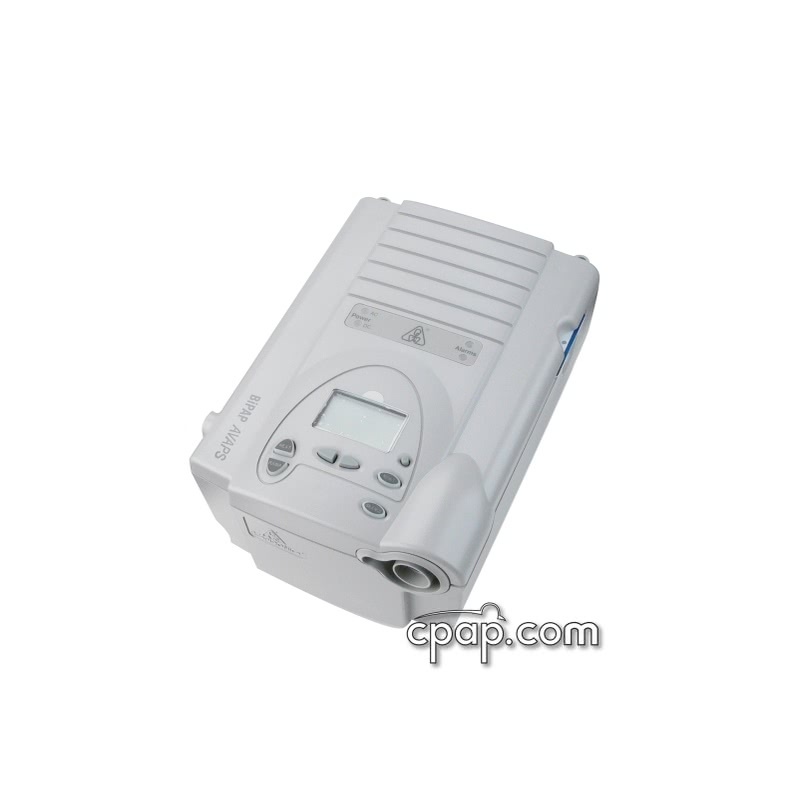 Newer Model Available: PR System One REMstar BiPAP AVAPS Machine. 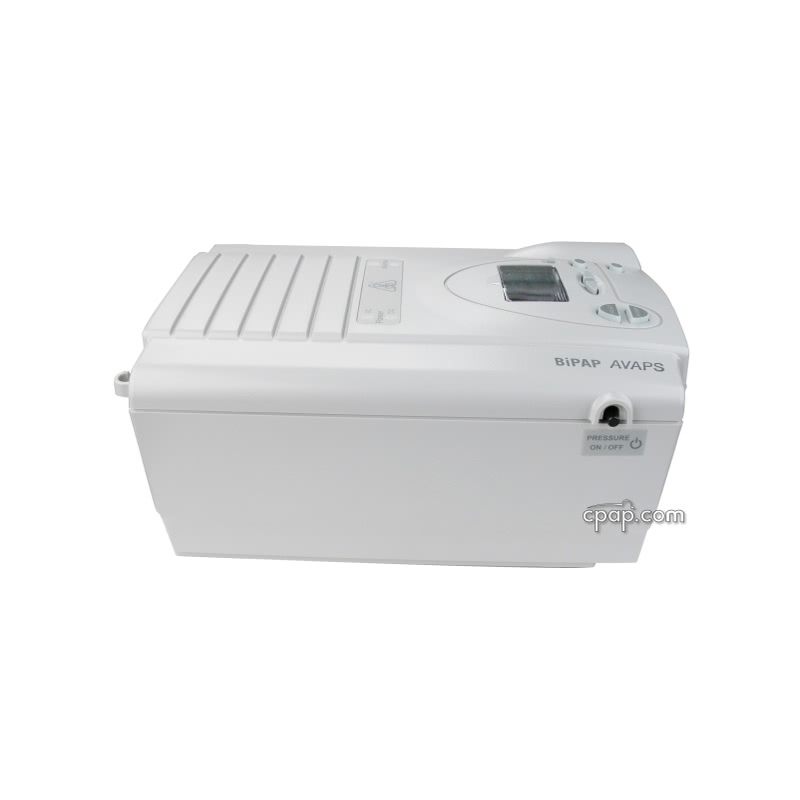 The Respironics BiPAP AVAPS machine includes the latest technology when it comes to Noninvasive Ventilatory Support for home use. 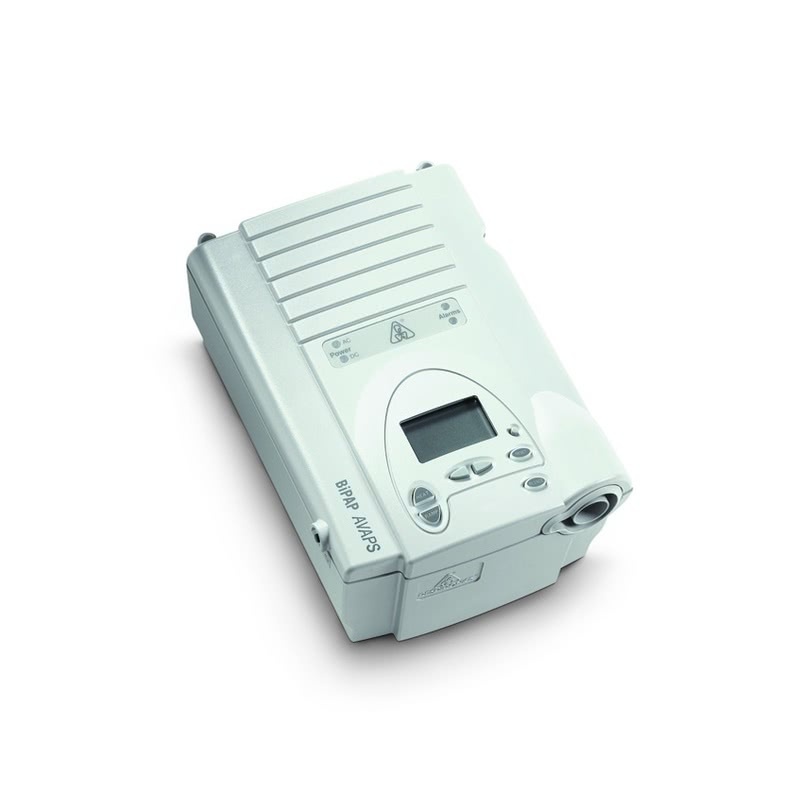 It includes AVAPS (Average Volume Assured Pressure Support) technology and many other features. 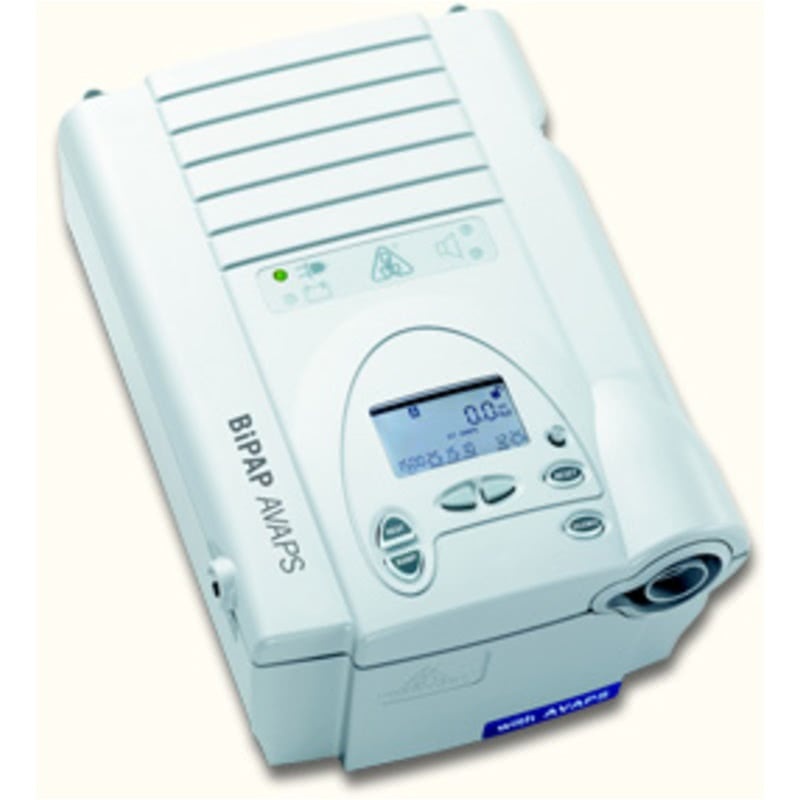 Perhaps one of the most versatile machines on the market, the Respironics BiPAP AVAPS machine is designed with flexibility and comfort in mind for those who need Noninvasive Ventilatory Support. 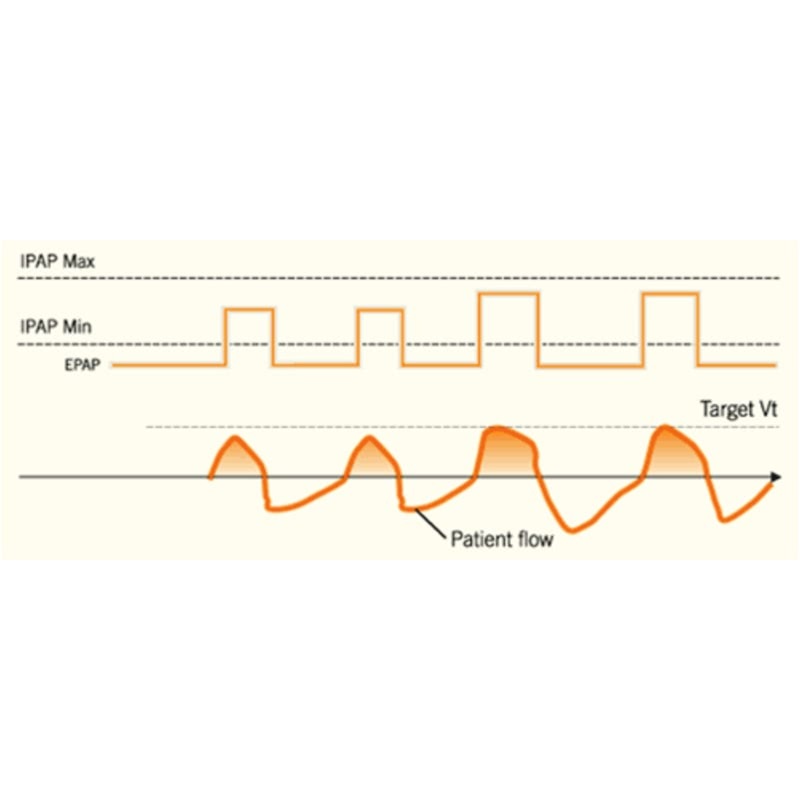 Average Volume Assured Pressure Support or AVAPS is a new method of delivering a consistent tidal volume through a unique algorithm which evaluates the patient's tidal volume over several breaths and then calculates the amount of pressure needed to reach the ideal tidal volume. The machine then gradually raises or lowers the IPAP pressure to achieve the proper pressure support. Since the pressure changes smoothly, it does not compromise patient comfort or safety. Leaks are taken into account so that AVAPS delivers a true averaged patient tidal volume. 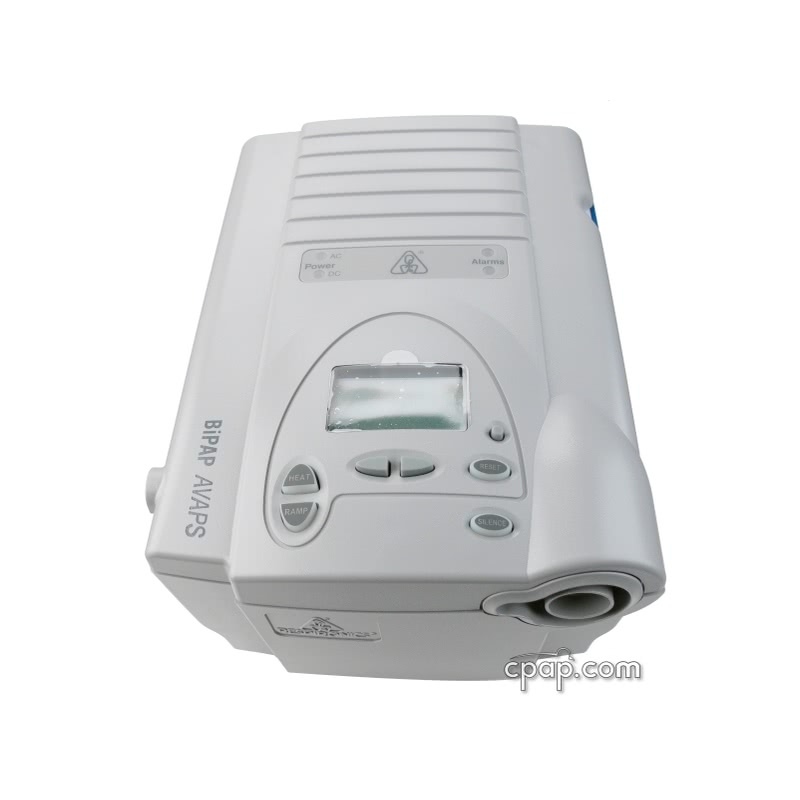 For maximum flexibility this machine may be run in the following modes: CPAP, Spontaneous (S), Spontaneous/Timed (S/T), Timed (T), and Pressure Control (PC). 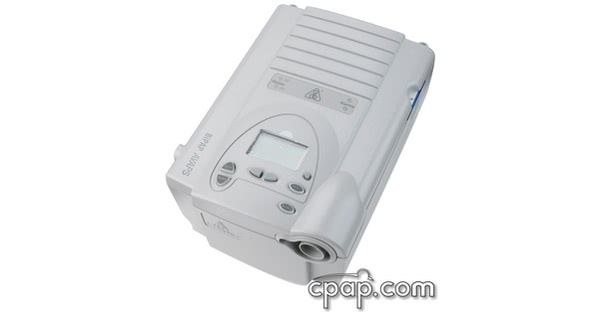 The BiPAP AVAPS may benefit COPD and neuromuscular patients, obesity hypoventilation patients, as well as restrictive patients since it delivers the comfort and leak compensation of a pressure mode and the safety of a guaranteed volume. Also, because the algorithm compensates for changes in body position and maintains ventilation the algorithm supplies the right pressure at the right moment. In addition to the revolutionary algorithm, the BiPAP AVAPS sleep therapy system also offers other Respironics technologies such as optional integrated heated humidification and built in digital data storage using Respironics Encore SmartCard which may be accessed using the EncoreViewer Data Management software and a Respironics SmartCard Reader. 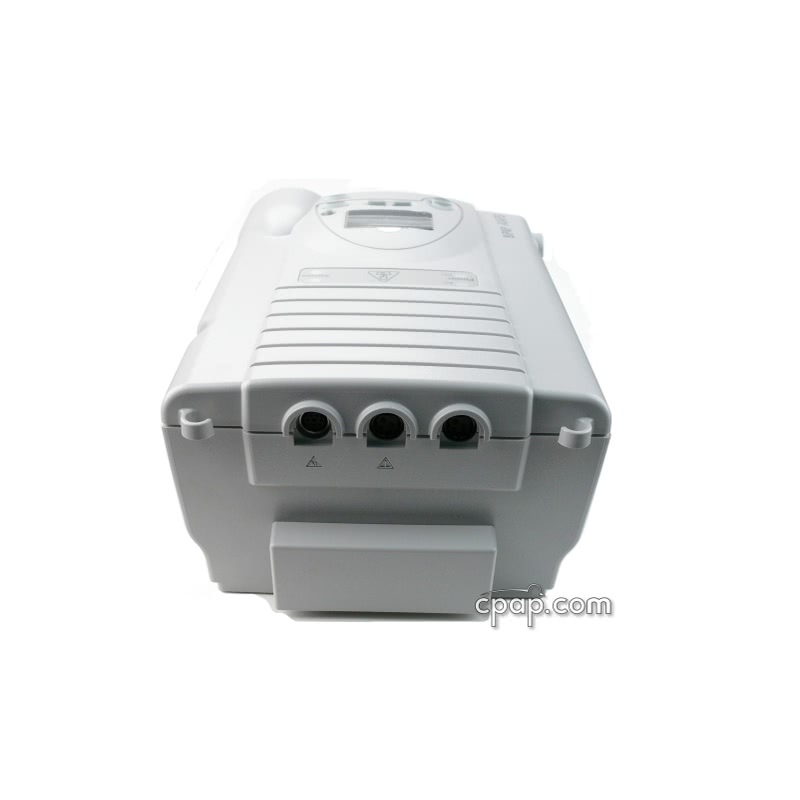 The user manual included with this machine can be viewed and downloaded here: BiPAP AVAPS.